We know there is no shortage of car dealerships in Georgia, which means you have a lot of choices and options available to you in this fine state. But we also know there are certain things that set us apart from the competition out there – such as our diverse inventory, emphasis on customer service, and the pride we take in making sure our customers are happy. 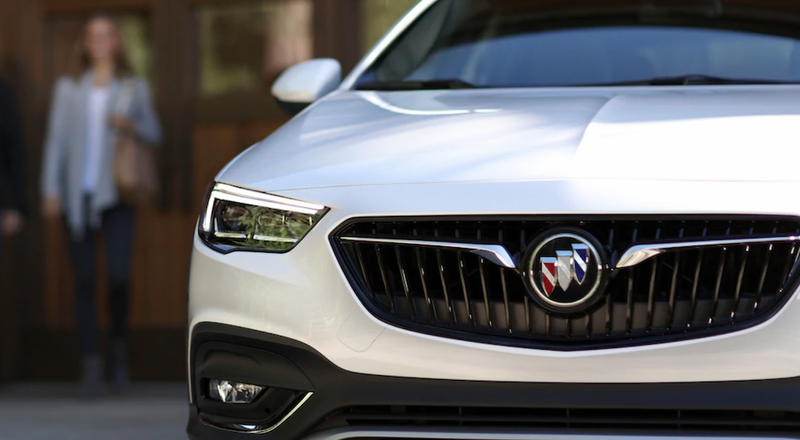 This is what makes us your dealership, and why we stand out from the other Buick dealers in GA. We believe that options are important, which is why we have such a robust inventory of Buicks and GMCs for you to choose from. It is part of our focus on customer service: making our customers happy means making sure you can find just the right car or SUV to fit into your life and meet your needs. That is also why we focus on every part of the car-buying experience, from the moment you walk onto our lot, to when you drive away happy, and beyond. To us, our customers are not just random faces that come to our lot who we will never see again. We believe that our business has a place in the community, which is what sets us apart from so many other Buick dealers in GA. Our customers are our friends and neighbors from all over the state who come to us seeking an excellent car-buying experience. When you come back for a service or for your next vehicle, we plan on continuing that experience to make sure you get exactly what you need and you are always satisfied. Few things are more frustrating than when you go to the store for something only to find that when you get there, they don’t have what you want. Why run a business if you cannot sell people what they need? That is the driving philosophy behind our inventory, which is why we always have a huge selection of both new and pre-owned vehicles. Buying a new car or SUV is about going to a Buick dealer in GA and being able to choose exactly the right vehicle and trim level that is perfect for you. You are going to spend a little more on a new vehicle, so it should be just right – exactly what meets your needs and you should feel confident in the knowledge that you are the first person to really experience what it has to offer. At Carl Black Roswell, we keep a massive selection of new Buicks on-hand so that you can find exactly what you are looking for and get the vehicle of your dreams. But we also know that brand new cars are not for everyone. Whether it is for financial reasons, a desire to reduce the environmental impact of a vehicle, or just personal preference, a lot of our customers prefer choosing a pre-owned vehicle. That is why we also have a terrific selection of pre-owned Buicks to choose from at our dealership. We want to make sure every customer who comes to us can find what they are looking for, and our inventory speaks for itself. Our focus on making sure the car-buying experience is as satisfying as possible for you is part of what separates us from other Buick dealers in GA. To us, that experience begins the moment you step onto our lot and come to us looking for the right vehicle. We know how many options you have, so we appreciate your time and the fact that you have made the choice to come to us. We pride ourselves on having a staff of men and women who are friendly, knowledgeable, and honest throughout the entire process. Whether you prefer to browse a bit on your own and see what we have, or walk through our inventory with someone to answer your every question, our lot is the right place for you. Our mission is to make sure you drive away in just the right vehicle, no matter what that means for you. This is the core of the Carl Black Roswell car-buying experience and what makes us different from the other Buick dealers in GA. We are not satisfied until we know that we have helped you find exactly the right car or SUV for your needs. If you are looking for a compact SUV that easily fits into your life, then we are not going to try to push you into a full-size model that is way too big for your needs. That is why we are here to answer your questions and get to know you, to help you figure out just what you are looking for. There is nothing better than seeing a customer drive away completely happy with a new or pre-owned Buick. Cars are important; consider how much of your life you spend in your vehicle while going to or from work, running errands, or just relaxing and going for a drive. So we pride ourselves on this moment: when you have found just the right vehicle and drive away from our lot with the road open before you, and years of new experiences ahead. But even though this may seem like where the car-buying experience ends, in some ways it is a new beginning. At Carl Black Roswell, we have a world-class service center with experienced, knowledgeable staff here to make sure your Buick keeps running beautifully. Some of those other Buick dealers in GA are just looking to make a sale and then move on to the next customer. But we are here to build upon our relationship with you and make sure you continue to be happy with your vehicle, mile after mile. Whether you just need some routine maintenance performed, or you have a serious issue that needs major repairs, we are here to keep your car or SUV running. At the end of the day, whether you are our customer or you choose to go to a different Buick dealer in GA, the most important thing to us is our place in the community. It guides us as we help our new customers, provide service to returning customers, and make our day-to-day decisions as a business. We are a part of the community here in Roswell, and we do everything we can each day to make sure our relationship with our friends and neighbors is as beneficial as possible. From our internet radio station that promotes local musicians to the concerts we help support throughout the year – we do everything we can to keep our community a great place to live, work, and play. We appreciate every customer who walks onto our lot; because we recognize that you have made the choice to come to us and not one of the other Buick dealers in GA. It is our goal to set ourselves apart through honest and helpful customer service, ongoing relationships with our customers, and by being a positive part of this community. It is just our way of saying “thank you” to our customers, our neighbors, and to everyone who visits us at Carl Black Roswell. But you don’t have to just take our word for it – come to our dealership and experience the difference for yourself.